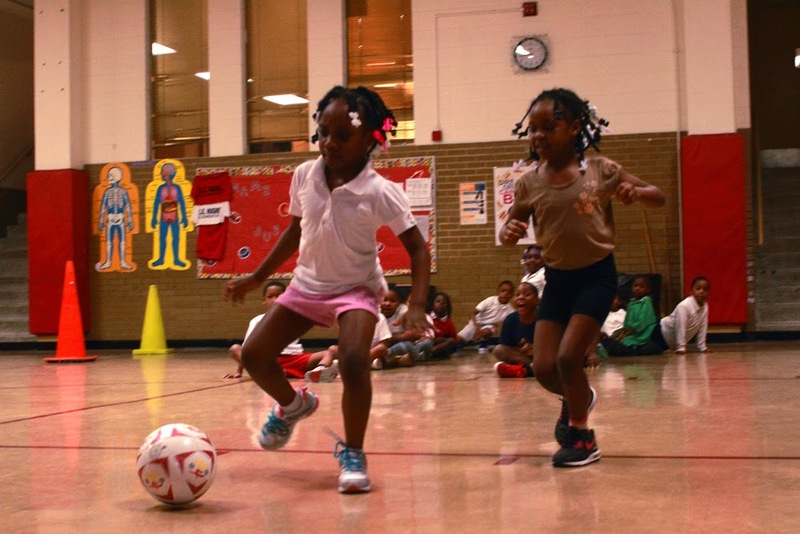 This winter, 120 students in Kindergarten through 2nd grade took the field kicking off the America SCORES Chicago Winter 2014 after-school season with Jr. SCORES. Started in 2010, the Jr. SCORES model encourages students to WRITE.PLAY.ACHIEVE through literacy activities and soccer. 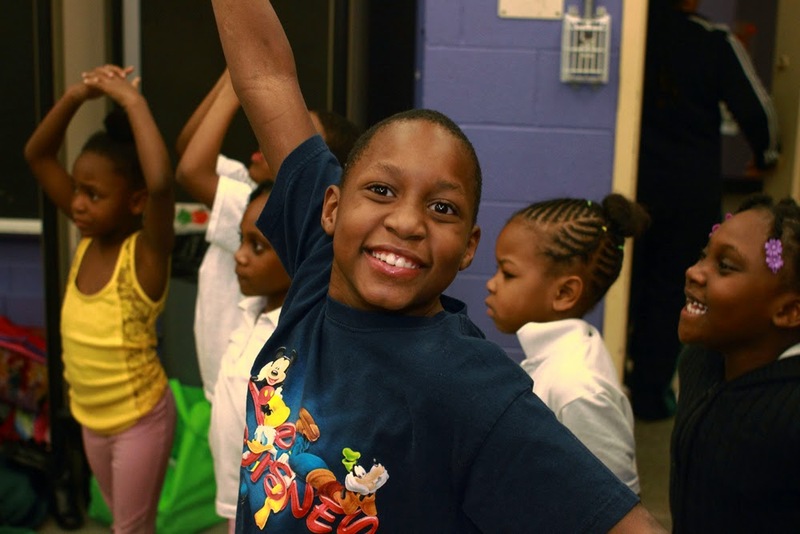 This year, Jr. SCORES programs ran at Hay, Hearst, Hughes, Johnson Pilsen, and Spry Elementary two to four days per week. Jr. SCORES students learn level one soccer skills like dribbling, defending, ball control and scoring goals. During writing practice, students create a writing portfolio of their poetry and art work.Jr. SCORES teams also traveled to other SCORES schools for end of season game day to have fun with students from other schools and showcase their new skills! 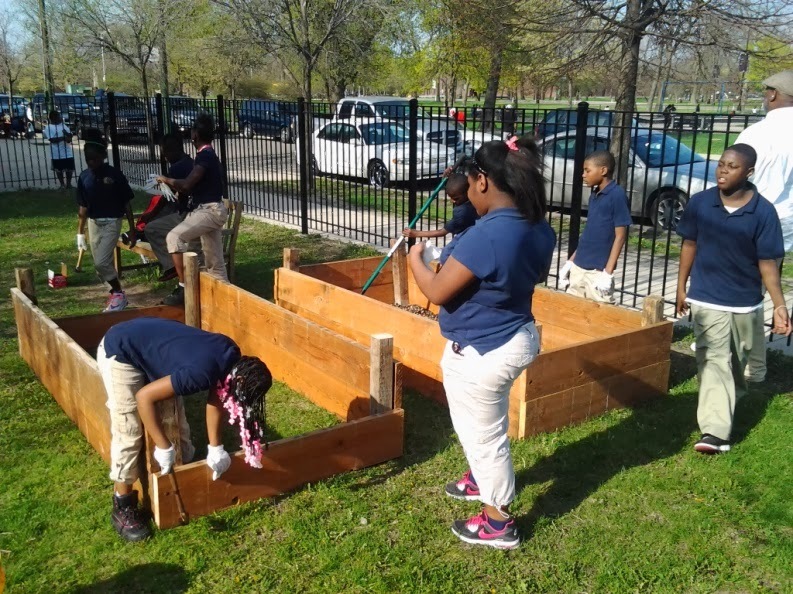 The Johnson garden project*, crafted and designed with the help of The Loud Grade Produce Squad, teaches urban youth how to create small and sustainable gardens in their community to provide more fresh produce for families. During the lab sessions students engaged in groups discussions about the biology of plants, sustainable urban gardening and the importance of eating fresh produce to promote a healthy lifestyle. 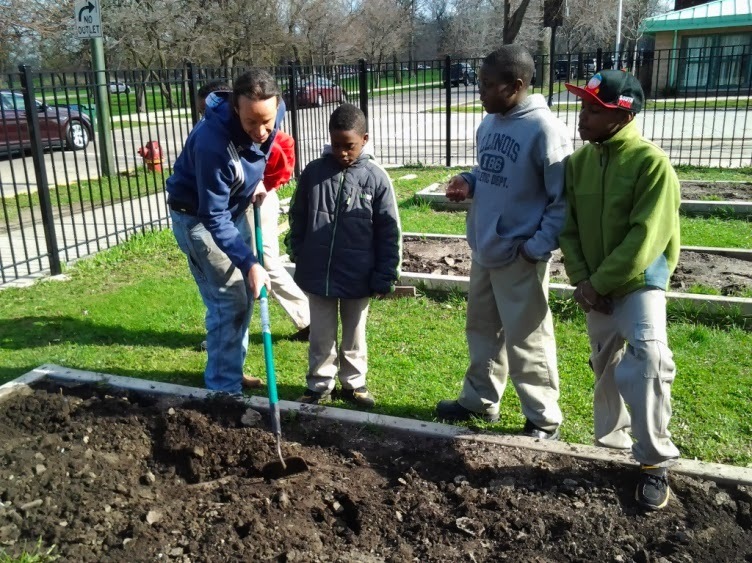 During the build sessions, youth became apprentices of Loud Grade staff and learned how to build and maintain raised planting beds, soil formation techniques and experimented with different methods of composting. 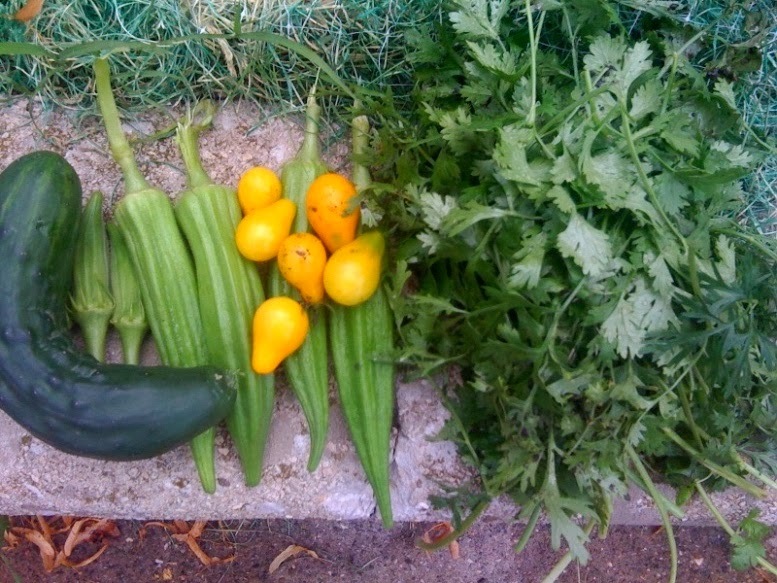 25-30 3rd-5th grade students took part in the weekly and sometimes twice weekly garden sessions. The parts that students liked best were building the beds, shoveling, planting seeds and seedlings, and providing care for the plots. necessarily those of the Aetna Foundation, its directors, officers, or staff. The Community Poetry Slam was a resounding success! Everyone was a winner, but Eli Whitney brought home the hardware - winning both Golden Ball awards as well as the middle school boys League Cup. The elementary girls at Castellanos won the Golden Boot, and the Pope middle school girls won the League Cup. The Golden Ball award is America SCORES’ highest team honor, based on our core values of Teamwork, Leadership and Commitment. 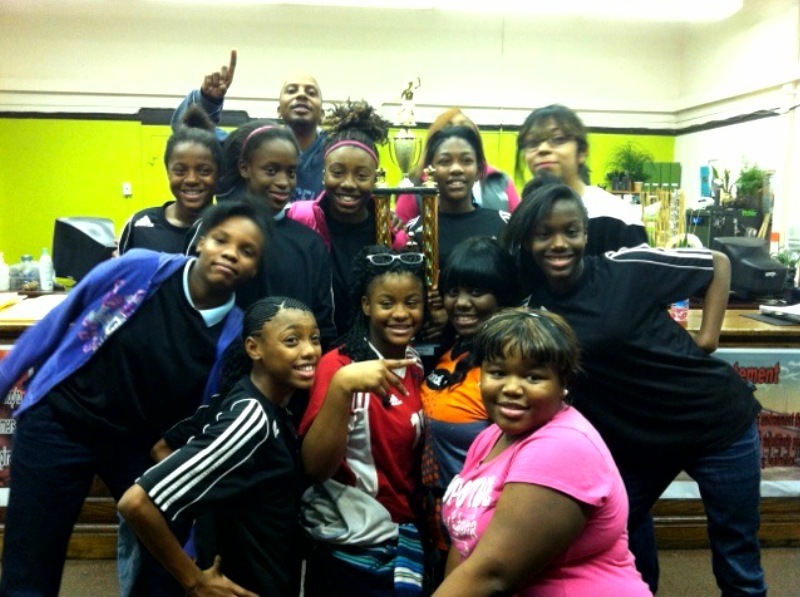 It is bestowed on the school that collectively most displays these characteristics throughout the season. Similarly, the Golden Boot honors the same values, but highlights the TLC achievements of a single boys or girls team. The middle school League Cups are given the teams with the most points (3 for a win, 1 for a tie) at the end of the season. 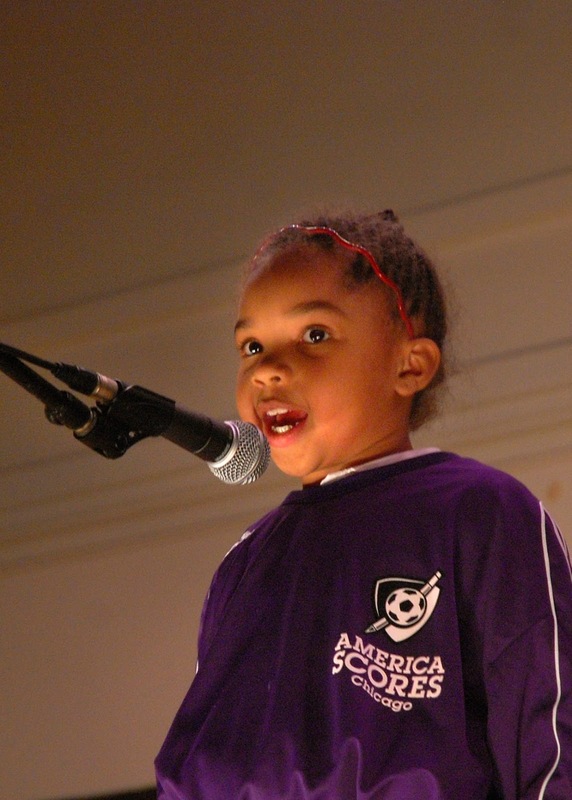 We are excited to announce the 11th annual Community Poetry Slam! 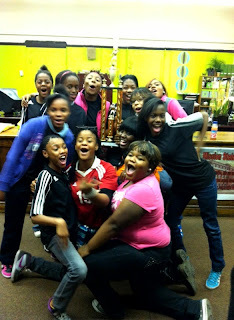 will take place on November 16th at Pope Elementary School (1852 S. Albany Ave.) from 5-7PM. 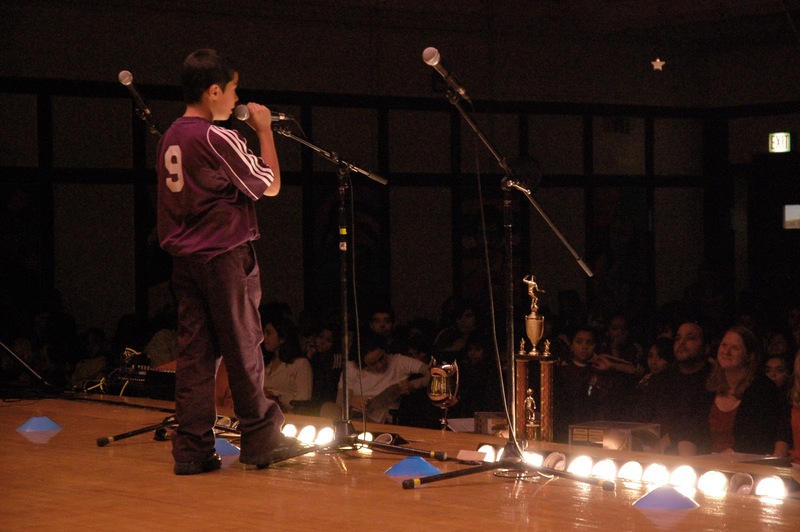 This year, over 300 elementary students will take center stage to perform as a team or as individuals while the middle school poet-athletes will debut their original music videos composed with their team song. Throughout the fall season, all SCORES participants engage in a poetic curriculum that prepares them for this special event. 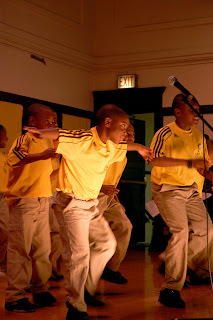 The middle school teams are taught the Hip Hop SCORES: Poetry and Song curriculum; at the end of the season, they collaborate as a team to develop a poem/song that conveys a socially conscious message, which they then present in the form of a music video at the Slam. The elementary teams are presented with the Power of Poetry curriculum during the season and they perform team poems coupled with dance on stage. In addition, the best individual poets from each team and grade level punctuate the night, giving resounding, insightful and poignant performances during the evening. This community Poetry Slam is designed as a venue to celebrate the youths’ accomplishments and share their achievements with the surrounding community. Join the families, friends, coaches, school administrators and community leaders and become immersed in this high-energy event. Saturday, September, 22 from 12:00 to 7:00pm WTTW11 presents American Graduate Week, a seven-hour live public television event designed to teach viewers and listeners more about the dropout crises, the potential solutions in our community and how we can get involved. Local pre-taped segments will feature Chicago organizations (such as America SCORES Chicago) that are making a difference and helping to make graduation happen. Also, on Tuesday September, 25 from 9:00 to 11:00pm WTTW11 will present a two-hour documentary called Dropout Nation as a part of the critically acclaimed documentary series FRONTLINE. Additional details on American Graduate Week's upcoming programming can be found here. 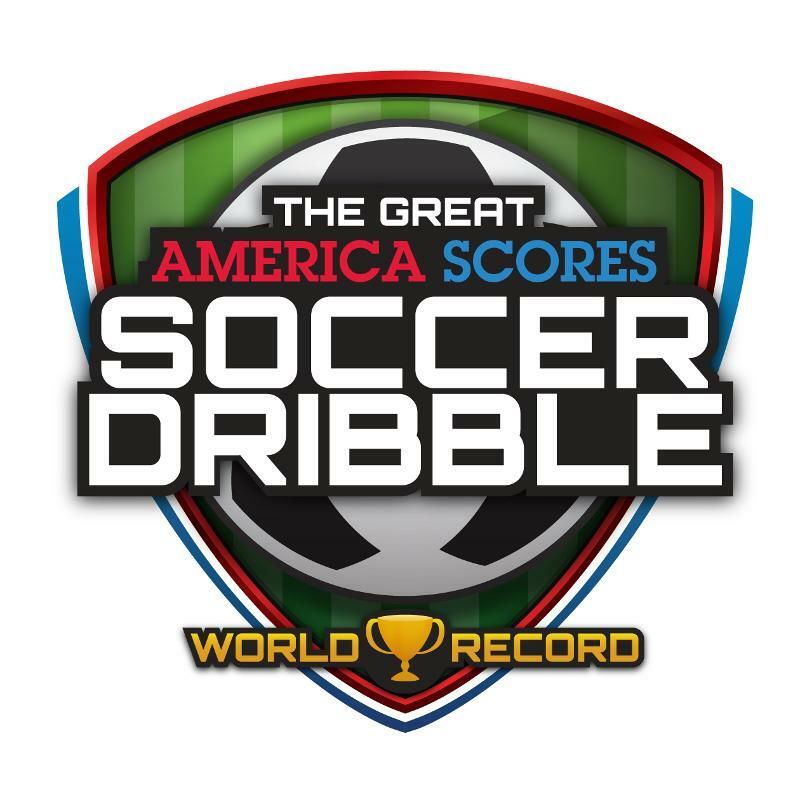 On Saturday, September 29th, ten America SCORES cities are joining forces to break the Guinness World Record of soccer dribbling; in total, we need over 2,069 participants to break the record set by the United Nations. 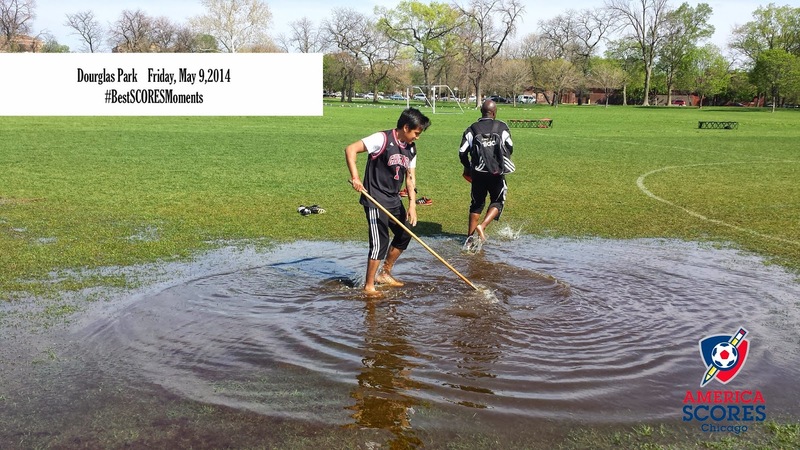 America SCORES Chicago needs your support to make it happen! 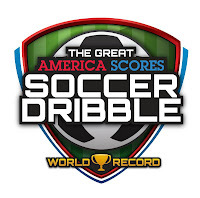 The first 150 Chicago registrants will receive a free event t-shirt and soccer ball to use during the dribble. After the event, participants are welcome to stay for family-friendly games and activities before the UIC Men’s soccer game at 7:00 p.m. COST: $25 per person, or $50 for a family/friends package. All proceeds will benefit America SCORES’s after-school program. Come out to the Emerald Loop Tuesday, August 5, 2014 from 6:00 to 9:00pm for drinks, food and fun. Help us reach our goal of 30 participants. Your ticket purchase includes the three hour open bar.